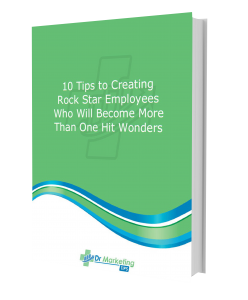 This book was developed to help you discover the 10 easiest, little known tips and tricks to keep your employees happy while turning them into rock stars who will take your practice to the next level. Download the eBook to hit the ground running today! Note: By pressing the submit button, you are agreeing to be added to our email list. We will send you occasional updates about new educational resources; but we will never sell or share your information with others.